In science and technology studies and beyond, there have been compelling calls for the production of science by and for the Global South. But what does the process of creating African scientists look like on the ground? This project draws on ethnographic research at a small South African startup pharmaceutical company with an elite international scientific board, which focuses on drug discovery for neglected infectious diseases. It also traces the global networks of the training of these African scientists. The project explores how the location of the scientific knowledge component of pharmaceuticals – rather than their production, licensing, or distribution – matters. One hypothesis, based on preliminary research in Johannesburg and Atlanta, is that creating scientists for a democratic South Africa is both a local project and a global one, emerging both from a context of a particular postcolonial, post-apartheid historical location, and from cosmopolitan global networks that are reconfiguring big pharma, academic science, and intellectual property regimes. The first article from this project was published in Social Studies of Science, an interactive site on the project is available at mappingithemba.com, and I am currently completing the book manuscript, provisionally titled Synthesizing Hope: Matter, Knowledge, and Place in South African Drug Discovery. Research for this project was funded by a grant from the National Science Foundation. The United States is often characterized as pharmaceutically-saturated, but there are also real barriers to access that are stratified according to race. This project analyzes particular extraordinary events — including the deaths of the postal workers in the anthrax attacks of 2001, and the 2011 release of the Scott sisters from a Mississippi prison conditional upon the donation of a kidney from one sister to the other — to situate an argument for the centrality of racism in the constitution of American biological citizenship. The first article from this project was published in Science, Technology & Human Values. This project argues for the value of exploration of the heart, circulatory system, and heart disease for feminist theory. Heart disease is the leading cause of death of women and men in the U.S. and beyond, and women’s heart disease has been a very important site of debates within medical research and public discourse. However, women’s heart disease has not become a locus of a broad social movement. Moreover, the heart’s physiology not been a prominent site of feminist theorizing about the body. My first paper from this project was published in Body & Society, and the second one was published in the inaugural issue of Catalyst: Feminism, Theory, Technoscience. Medicating Race traces the intersecting discourses of race, pharmaceuticals, and heart disease in the United States over the past century, from the founding of cardiology through the FDA’s approval of BiDil, the first drug sanctioned for use in a specific race. 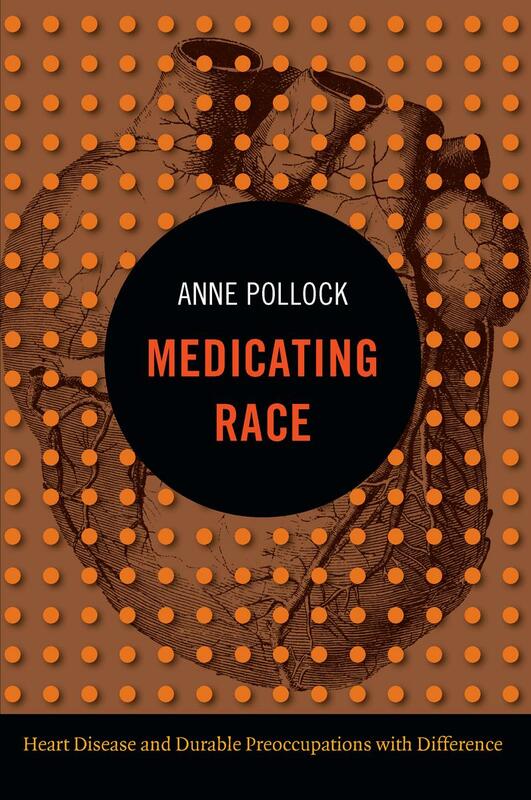 Medicating Race examines particular sites of the longstanding and dynamic interplay of race and heart disease: the notion, among the founders of American cardiology, that heart disease was a modern, and therefore white, illness; constructions of “normal” populations in epidemiological research, including the influential Framingham Heart Study; medical debates about the “slavery hypothesis” and thiazide diuretics, a class of antihypertensive drugs that has been linked to African American hypertension; and physician advocacy for the urgent needs of black patients on both scientific and social justice grounds. Ultimately, Medicating Race insists that those grappling with the meaning of racialized medical technologies must consider not only the troubled history of race and biomedicine, but also its fraught yet vital present. Medical treatment should be seen as a site of, rather than an alternative to, political and social contestation. The aim of scholarly analysis should not be to settle matters of race and genetics, but to hold medicine more broadly accountable to truth and justice. Chapter 6 reprinted in The Pharmaceutical Studies Reader, edited by Sergio Sismondo and Jeremy Greene, Wiley 2015.